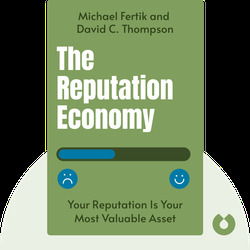 The Reputation Economy (2015) explains how to optimize your digital footprint and establish a first-rate online reputation. The authors identify emerging trends and describe how you can improve your prospect of both professional and financial success. Michael Fertik is the founder and CEO of Reputation.com, a pioneering firm dedicated to online reputation management. He also co-authored the bestselling book Wild West 2.0. 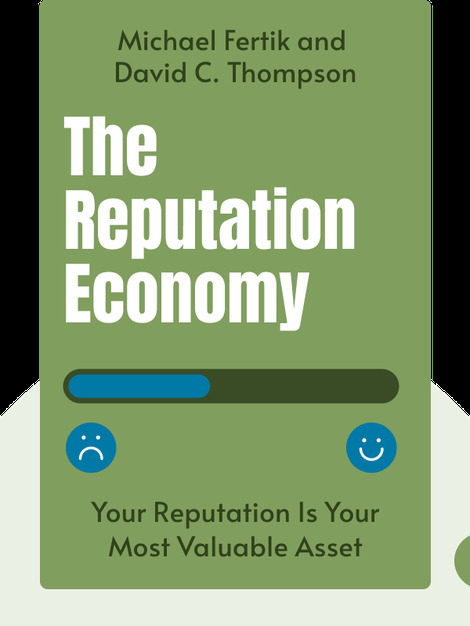 David C. Thompson is a lawyer and business executive. Previously, he was the general counsel to and chief privacy officer of Reputation.com.